Windows 8 Desktop comes with a good variety of improvements. This improvements are encouraging thus Desktop users can look over this article and if they find an upgrade worth it, they can go ahead and upgrade their desktops. In this article I will look at the major improvements Desktop users will enjoy in case of upgrading. With the new Windows 8 file copying has changed. It facilitates the integration of two or more file copying operations in one window. It also offer pause where the user is free to pause a file copying process. In the event of file conflicts in the destination folder, the new file copy facilitates ease in managing this conflicts. When expanded the user can monitor a graph of speed over time in evaluating the file copying speed. The task manager has been given a complete makeover. It is launched by the same combination of keys but appears with a whole new look where the user can toggle between more details and fewer details. It features startup control where the user can choose which programs load at startup. It allows the looking up of any process the user finds mysterious by right clicking and using the Search online option. New Refresh and Reset options when troubleshooting windows. This enables the users to solve startup or log in problems. In Refreshing, the system is literally taken back to the state it was immediately after the user installed Windows 8. This two options were previously unknown in all the other versions of windows. Windows explorer has been given a set of awesome changes too. It comes with a new ribbon interface that eases carrying out of various operations. Whether changing icon size or viewing hidden files things have been made simple. The ribbon can also be hidden when the user does not want to see it. Improved boot time technology in Windows 8 enables faster booting with changes of up to 15 seconds less from the previous boot time of Windows 7. Some machines experience a whopping boot time of up to 10 seconds from the initial 30 seconds. This is a significant change. This improvement enables speedy start up and thus for the busy people it saves on time. 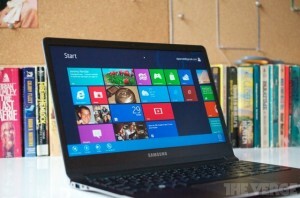 In summary, it would be worth the cost of upgrading your desktop to Windows 8 so as to enjoy this features and much more. Thanks for reading. This content is brought to you by Passcertification.com .Are you seeking for this 200-120 assistance? Let’s get the advantage of 100-101 and pass your IT certification exam on first attempt with 100% money back guaranty.